It started as a collaborative dream to produce high-quality herbal products for women's reproductive health. Since adopting the name in late 2015, it's evolved as a way to explore and share my love of plants as medicine, food, and beauty. People use plants to support health along a spectrum. Many plants are beneficial to eat as part of a regular diet (think standard veggies), while some are used sparingly because they have more intense flavors, which usually indicate specific health actions (think culinary herbs and spices, many of which are antiviral or antibacterial). Further along the food-medicine continuum lie plants we don't normally eat but that have various effects on our bodies, like Echinacea supporting the immune system, or St. John's Wort helping ease depression. Though they've been largely ignored by modern allopathic medicine, plants remain a foundational part of local, everyday healing and have immense potential to support the health of individuals and communities. Through Wild Heart Botanicals, it is my hope to help maintain and inspire connections between plants and people. Below are some of the ways this is currently taking shape. Buying dried, faded herbs from overseas never felt quite right. It may "get the job done," but it offers a completely different experience from the sensory pleasures of tending vibrant plants. Over time, growing and connecting with living plants has become the core of my herbalism practice. The medicinal plants I tend are currently growing in two places. One is a small plot in the Whiteaker Community Garden, where I grow herbs for commercial uses alongside my neighbors' peppers and sunflowers. 2018 will be the second year growing in this plot, and I plan to cultivate a range of topical herbs for my salves, as well as more perennial beauties for tincturing. The other plot, at the Youth Farm, hosts some of my favorite plants for educational activities. I'm also growing a variety of medicinal plant starts as part of the Youth Farm spring and summer plant sales. All sales of these starts support FOOD for Lane County's garden programs, and my hope in growing them is to share medicinal plants with more people who will nurture and connect with them. 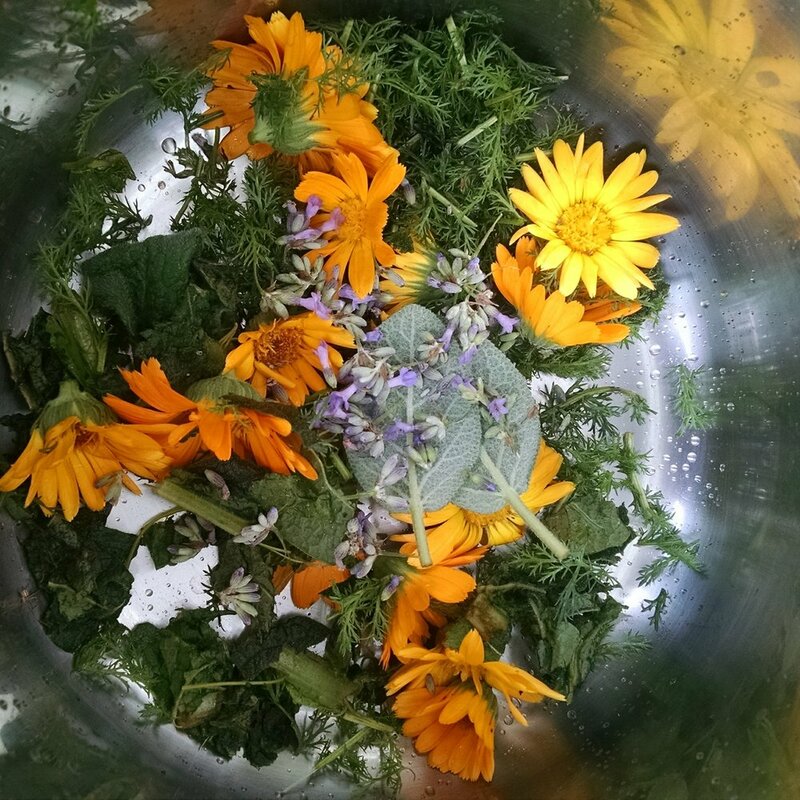 Most medicinal plants need to be processed to preserve and extract their healing properties. I find joy in ethically harvesting, preparing, and using plants in their altered forms, especially after having interacted with them where they grow. 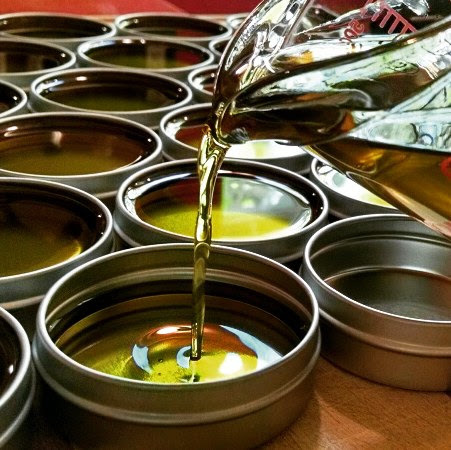 I currently craft two salves for sale that I make from my herb garden. Farmer Hands is an all-purpose salve, so named because I use it almost daily on the gashes and cracks that my hands suffer at the farm. New Life is a milder all-purpose salve, so named because it's safe for babies' sensitive skin and breastfeeding mothers. Link to my Etsy site below. I also have dried bulk herbs and tinctures available. Contact me for a current list. I'm still learning a lot about plant medicine, and will continue to consider myself a student for most of my life. I learn even more-- and have a lot of fun!-- by sharing my knowledge and experience with others. I currently offer an introduction to perspectives and practices of plant medicine with interns and youth crew members at the Youth Farm. Workshops vary based on interest and season, and we often go for plant walks, taste teas, make salves or syrups, and have discussion. If you're interested in collaborating on or attending a workshop, please click below to contact me.